[We are glad to offer a discount to MCLC members to order your book on our website. Please enter the code ‘MCLC2019’ in the discount box of our website to enjoy 30% off when ordering the books. The offer is valid from 22 Jan – 22 Feb 2019. URL: https://hkupress.hku.hk/pro/1699.php. Happiness is on China’s agenda. From Xi Jinping’s “Chinese Dream” to online chat forums, the conspicuous references to happiness are hard to miss. This groundbreaking volume analyzes how different social groups make use of the concept and shows how closely official discourses on happiness are intertwined with popular sentiments. The Chinese Communist Party’s attempts to define happiness and well-being around family-focused Han Chinese cultural traditions clearly strike a chord with the wider population. The collection highlights the links connecting the ideologies promoted by the government and the way they inform, and are in turn informed by, various deliberations and feelings circulating in the society. Contributors analyze the government’s “happiness maximization strategies,” including public service advertising campaigns, Confucian and Daoist-inflected discourses adapted for the self-help market, and the promotion of positive psychology as well as “happy housewives.” They also discuss forces countering the hegemonic discourse: different forms of happiness in the LGBTQ community, teachings of Tibetan Buddhism that subvert the material culture propagated by the government, and the cynical messages in online novels that expose the fictitious nature of propaganda. 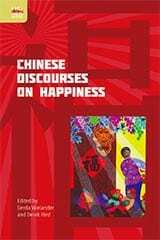 Collectively, the authors bring out contemporary Chinese voices engaging with different philosophies, practices, and idealistic imaginings on what it means to be happy.